4. The Testator must have the ability to evaluate, and discriminate between, the respective strengths of the claims of such persons. A person who had testamentary capacity may lose it in a number of ways, for instance by suffering a head injury or having dementia. A person who lacks testamentary capacity may not have a will, or the will that, that person does have is no longer suitable because of a change of circumstances. The Succession Act 1981 provides a court may authorise a will to be made, altered or evoked for a person without testamentary capacity. (c) The Court has approved the proposed will alternation or revocation. Section 22 provides that a person may only apply for an Order under Section 21 with the court’s leave. Section 23 provides the information required by the court in that application. (e) it is or may be appropriate for an order to be made under section 21 in relation to the person. Before the court gives leave, the court must be satisfied of all the matters in Section 24. Recently, the Court gave leave in a case where the Testator had made a will and thereafter suffered an acquired brain injury as a result of an accident. At the time the will was made, the Testator had little in his estate. The Testator received a substantial Award of Damages and the court approved a new will which dealt with the vastly enhanced state. What can be a will? How a person’s estate is dealt with after their death is governed in Queensland by the Succession Act 1981. 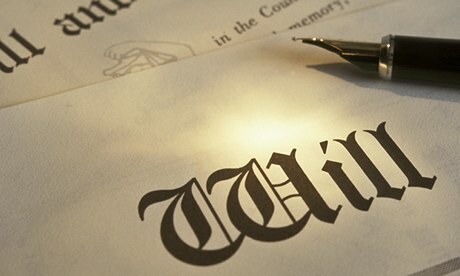 The estate will pass either under a will or if a will has not been made as an intestacy. The Succession Act sets out how the estate is distributed on the intestacy. (1) This section sets out the way a will must be executed. (ii) someone else, in the presence of and at the direction of the testator. (3) The signature must be made or acknowledged by the testator in the presence of 2 or more witnesses present at the same time. (4) At least 2 of the witnesses must attest and sign the will in the presence of the testator, but not necessarily in the presence of each other. (5) However, none of the witnesses need to know that the document attested and signed is a will. (6) The signatures need not be at the foot of the will. (7) The signature of the testator must be made with the intention of executing the will. (8) The signature of a person, other than the testator, made in the presence of and at the direction of the testator must be made with the intention of executing the will. (9) A will need not have an attestation clause. (10) A person who can not see and attest that a testator has signed a document may not act as a witness to a will. (11) If a testator purports to make an appointment by will in the exercise of a power of appointment by will, the appointment is not valid unless the will is executed under this section. (12) If a power is conferred on a person to make an appointment by will and the appointment must be executed in a particular way or with a particular solemnity, the person may make the appointment by a will that is executed under this section but is not executed in the particular way or with the particular solemnity. However, the Act makes provision for the Court to intervene and ameliorate Section 10. This is found in Section 18 of the Succession Act. (b) has not been executed under this part. (2) The document or the part forms a will, an alteration of a will, or a full or partial revocation of a will, of the deceased person if the court is satisfied that the person intended the document or part to form the person’s will, an alteration to the person’s will or a full or partial revocation of the person’s will. (b) any evidence of the person’s testamentary intentions, including evidence of statements made by the person. (4) Subsection (3) does not limit the matters a court may have regard to in making a decision under subsection (2) . (5) This section applies to a document, or a part of a document, whether the document came into existence within or outside the State. (c)any disc, tape or other article or any material from which sounds, images, writings or messages are capable of being produced or reproduced (with or without the aid of another article or device). As can be seen this has the potential for many things to be admitted to probate as a will. In Queensland, in Nichol v Nichol  QSC 220 it was held than an unsent text message was a will. In Tinker (d’ced)  QSC 217, a handwritten informal will executed by the deceased but not witnessed was held to be a will. In Victoria, which has similar legislation an informal will typed on a computer was held to be a final will. When can I change Parenting Orders? After separation, the arrangements for children of a marriage or a de facto relationship are governed three ways. 3. By an Order made after trial in one of the two Courts. Where the arrangements are governed by mutual agreement without the need for an Order, then the parties are free to change the arrangement at any time as long as there is agreement. If there is not agreement, then the parties will have to go into the Court system to resolve that difficulty. The Law mandates that all decisions in relation to children must be in their best interests. It follows therefore, that if the arrangements are governed by either a Consent Order or an Order after trial, those Orders reflect what is in the best interests of the children. Since 1978, Courts exercising the Family Law Act jurisdiction in relation to children when asked to vary an existing Order invariably apply what is called ‘The Rule in Rice v Asplund’. Fundamentally, what that case says is the Court should not change Orders unless there exists a substantial change in circumstances. What is a substantial change in circumstances is of course a question of fact and will vary in a case by case basis. For instance, if the custodial parent wishes to take the child out of the country that would be a substantial change in circumstances. Similarly, if the Orders were made at a time when the age of the children was such that their wishes were not taken into account and now their age is, that would be a substantial change as is allegations of sexual abuse. A decision on the Rice v Asplund point can be done on the first return date on the material filed or after a full hearing. But the test remains the same and is not for the Judge hearing the application to decide whether he or she would’ve made the decision that the first Judge made of the Orders under challenge, but rather have the circumstances so changed that, that Order would not have been made and should be changed. The test remains what is in the best interests of the child. Part 7 of the Family Law Act 1975 deals with how a Court must approach deciding with whom a child shall live following the separation and how the child will spend time with the other parent. 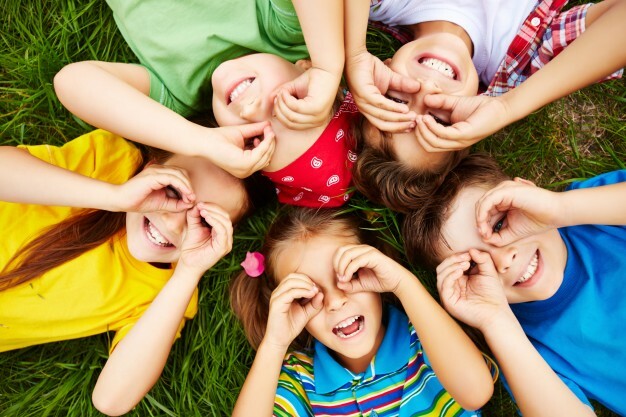 Parties who separate, amicably and agree who their children are going to reside with and how they are going to spend time with the other party without the need of an Order, are free to do so even though the arrangement may not pass the test of what’s in the best interests of the child. 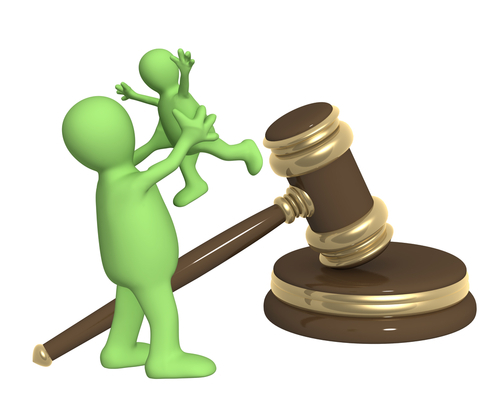 As can be seen, Section 60B (1) and (2) focuses on the child and litigants in person are often told by a Judge that their proposals are not child focused and are not in the best interests of the child. It is an easy trap for couples who have re-partnered to fall into, focusing on how to make the new relationship work, rather than focusing on what is in the best interests of the child given the fact of the new relationship. What needs to be focused on is stability and safety, while recognising the child’s right to have a meaningful relationship with each parent. The law in relation to dividing fences is found in the Neighbourhood Disputes (Dividing Fences and Trees) Act 2011. A dividing fence is a fence on a common boundary of adjoining land. The Act specifically does not affect the common law, which states that a dividing fence on a common boundary is owned equally by the adjoining owners. The adjoining owners are each liable to contribute equally to carry out fencing work for a sufficient dividing fence. But if one of the owners wants a fence of a greater standard, that owner has to pay the difference between the cost of a sufficient dividing fence and the greater standard fence. To build a dividing fence and have the adjoining owner contribute to it, it is necessary for the owner who wishes to build the fence to give a notice requiring the adjoining owner to contribute to the cost. That notice must give a description of the land upon the fencing work that is proposed to be carried out, the type of fencing work proposed to be carried out and the estimated costs and must be accompanied by at least one working quotation. The owner requiring the work to be carried out may by notice suggest that the cost can be other than equal proportions. If there is not an agreement within one month, either owners may apply within two months to the Queensland Civil Administrable Tribunal. That tribunal has jurisdiction to adjudicate these matters. The Act specifically provides that a retaining wall is not a fence, so disputes about retaining walls are dealt with by the common law. At common law, the lower property owner has an obligation to support the land of the higher property owner. In other words, if the lower property owner cuts the block so as to flatten it leaving a cliff edge for the upper block, the owner of the lower block is required to support that land and that of course is usually done or would almost inevitably be done by a retaining wall. At common law, the land owner in occupation of land has a duty when the land owner is aware or ought to be aware of the hazardous conditions of land, which puts the neighbour’s land at risk to take such steps as that are reasonable in all the circumstances to prevent or minimize the risk of injury or damage to the neighbour’s property. It is not the duty of the land owner to replace the retaining wall or otherwise retain its land at its own expense, but it is a duty to do what is reasonably necessary in all the circumstances. What is reasonable as circumstances is a question of fact and the age of the retaining wall will be one of the relevant facts. If the retaining wall however is of recent origin and it fails, then it will be the builder of the wall who will ultimately be liable.